Source of title proper: Title is based on contents of the series. 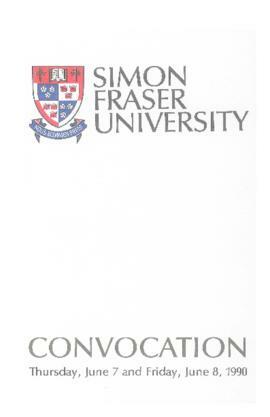 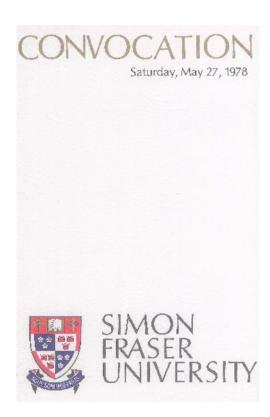 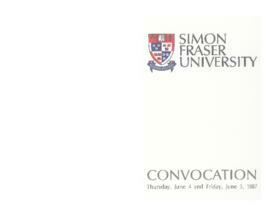 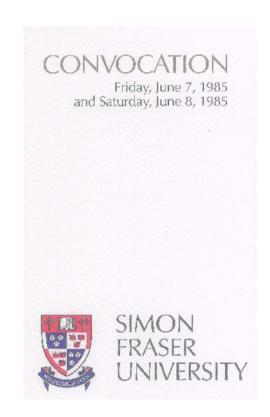 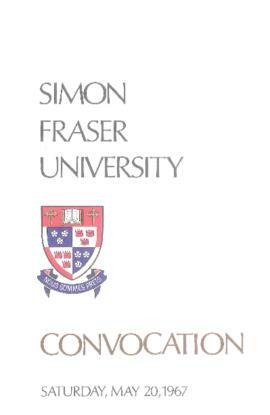 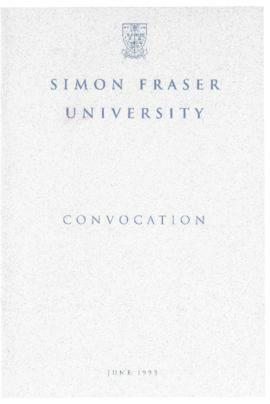 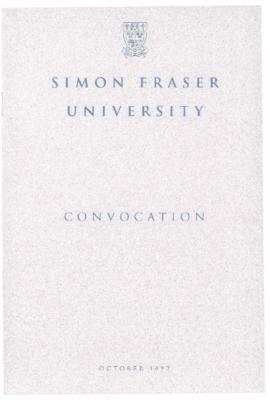 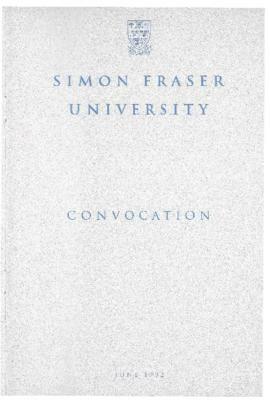 Series consists of records relating to the convocation ceremonies held at SFU to award undergraduate, graduate, and honorary degrees. 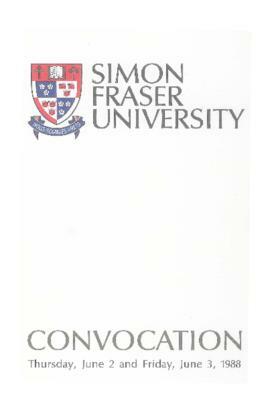 Records include Convocation booklet, programs, invitations, guest lists, books of words (order of proceedings), timetables, correspondence, notes, publications, press releases, news clippings, speeches, and other documents. Note that files from 1990s onwards contain fewer document types, often only the Convocation booklet and book of words; and from 2006 only the Convocation booklet. The format of the booklet changed little from 1967 to 2005. Since ca. 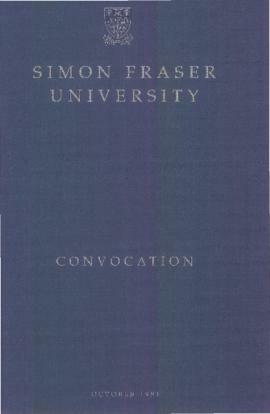 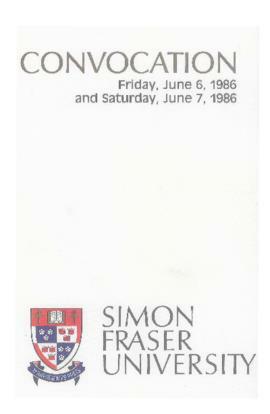 2006, the booklet has been produced by Communication Services, a unit of Student Services (the Spring 2006 booklet is the first to credit Student Services). Files were arranged by the archivist. 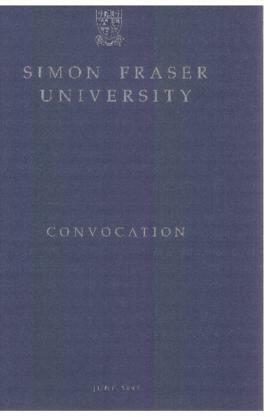 Convocation booklets are available in both hardcopy and PDF. 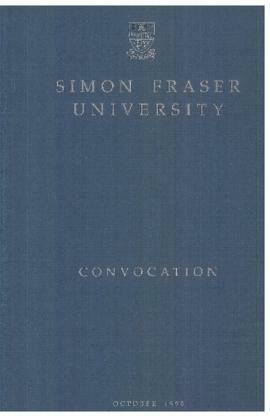 The Archives digitized the run of hardcopies from 1967 to 2014; these are directly available in SFU AtoM. From 2015 onwards, the Archives receives both the hardcopy and a PDF directly from Student Services. Access to files containing third-party personal information may be restricted. Please see the file list and consult with the archivist for more details. 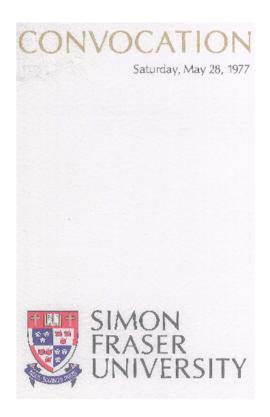 A file list is available.